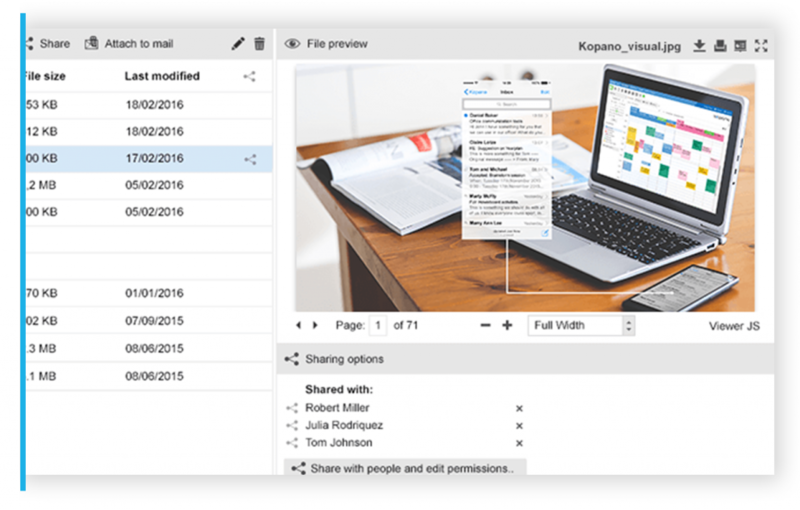 WebApp focuses on the ability to manage your own information. Version 3.4.0 introduced some changes that help users a lot. Examples are the new approach towards categories, which now have a prominent place in your overviews. Create organization-wide categories as a system administrator, or personalize category names and colours yourself and manage away. The new to-do list gives a complete overview of your outstanding tasks. 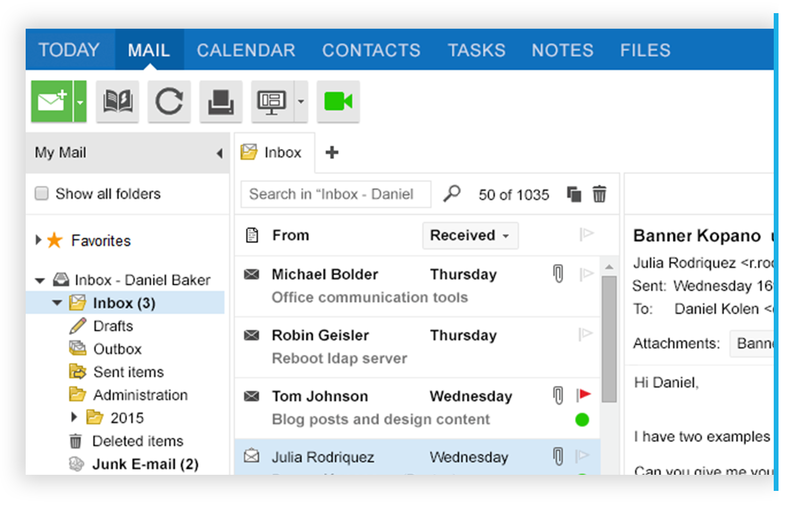 Flagged email messages and task items created by you or assigned to you appear side-by-side in a comprehensive overview, sorted by due date. The way tasks are displayed has changed a bit in WebApp 3.4.1. When you have assigned a task to someone else, or a task has been assigned to you, this is clearly shown with a distinguishable icon in the overview and on your to-do list. 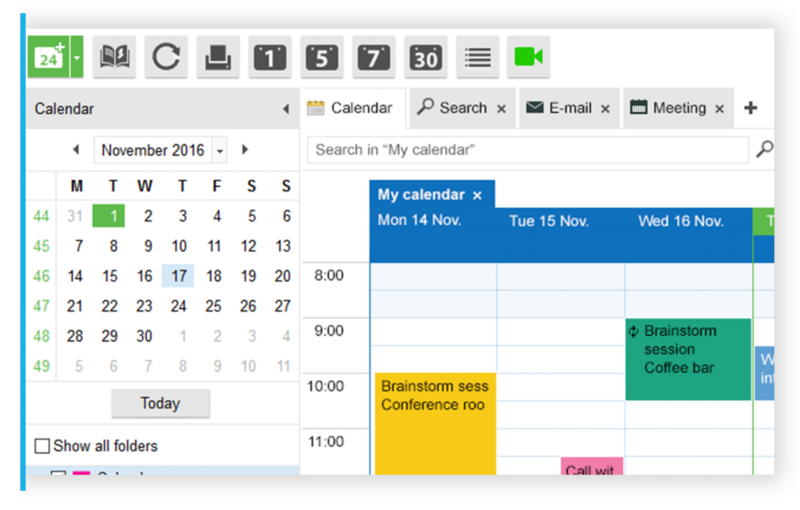 This version also improves further on the to-do list feature by adding the ability to set a custom reminder for flagged emails.When you have multiple calendars opened, a visual aid provides an indication of which calendar is active at that time, helping you create the items on the calendar you intended. Web Meetings 3.0.1 has seen the light and it resolves an issue which has been reported by our customers. After you have upgraded to this minor release, your local settings (such as your ‘status message’) are now properly saved to your local profile. The brand-new 8.4.4 release of Groupware Core implements some major improvements to overall performance. We have focused on reduction of SQL queries (complexity and numbers), got rid of unnecessary locking in frequently used code paths and managed to reduce the number of logon/logoff cycles needed for initialization of the MAPI provider. Give it a try, you’ll notice the difference. 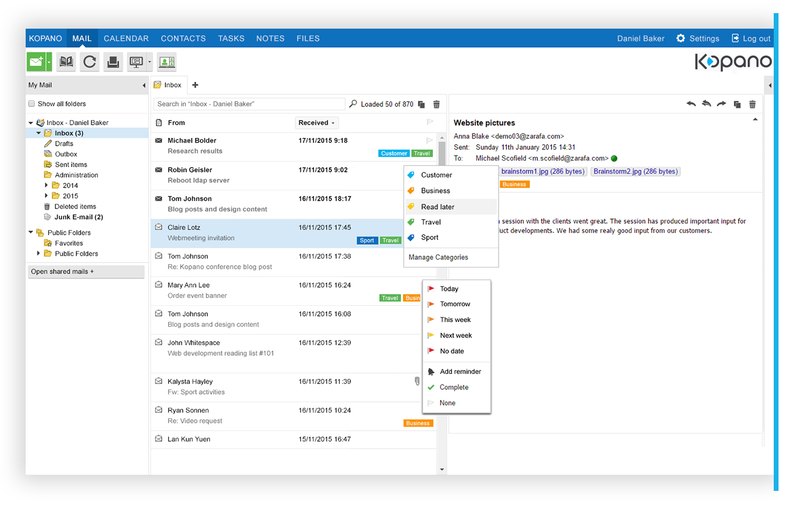 Also introduced in Kopano Groupware Core 8.4.x are additional tools and scripts to help ease the administration of your installations and make it easy to fix common issues with mailboxes caused by ‘broken clients’. Another administration-related change is the availability of new Python-based utilities in place of ‘old’ PHP based ones. For the time being, both PHP and Python based are supported and PHP is still the default. But you’re welcome to give the new scripts a try! The packages for these new versions have been synchronized to the repositories, the portal and the download server! 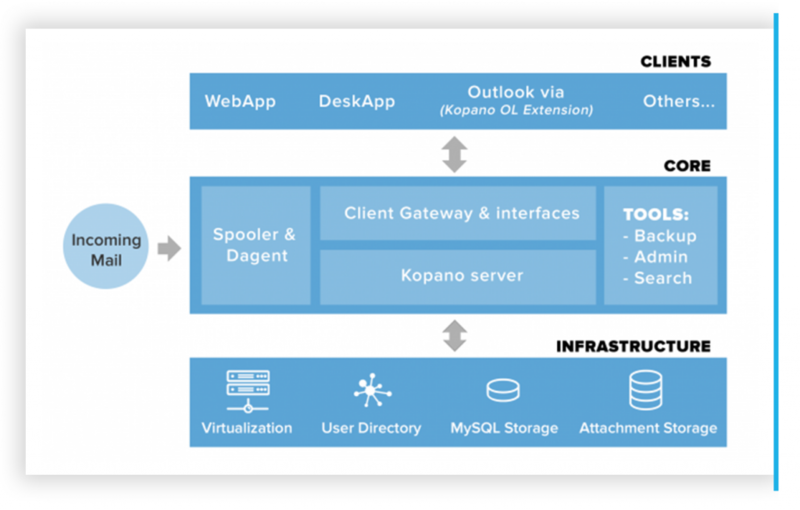 The documentation has been updated where required and is available on documentation.kopano.io. As always, the latest development version can be downloaded from the community download server. If you have any feedback, send an email to feedback@kopano.com or open a topic in our Kopano forum!